Over 200 pristine cayes (islands) are scattered along Belize’s coastline—each surrounded by crystal clear, turquoise seawater that teems with brilliant fish, coral, and sponges. The Caribbean seascape you see from the mainland is equally stunning. Placencia’s 17 miles of golden sand beaches are perfect for long, leisurely strolls and days spent sunning or picnicking near the sea. Sailboats, cruisers, and catamarans come and go from the deeper water docks, or idle in the calm, protected waters at the tip of Placencia Village. From Placencia it’s a short drive to a host of other mainland activities such as hiking, bird-watching, and zip lining. Belize is quintessential Caribbean but with Maya roots. But Belize offers much more than the beauty of the Caribbean Sea and Mesoamerican reef. It’s complimented by the lush, wild jungles of the Maya Mountains, with tumbling rivers, mysterious Maya ruins, and awe-inspiring rainforests. The Cayo region is rich with productive farms and the perfect spot for homesteading expats. Belize offers other advantages. As a British Commonwealth country, English is the primary language, making it easy for expats to transition. This little country is also well known for its open-arms attitude toward expats who wish to become residents, or to open a business. Talk to expats who live in Belize and you’ll hear a common theme…Belizean people are warm, helpful, and made them feel welcome. Most expats who live in Belize today moved from the USA, Canada, Britain, and other European countries. 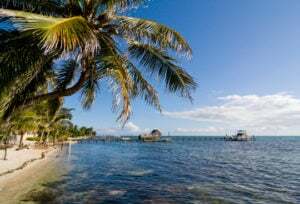 Read More : Is Belize a safe place for an expat to live? I am thinking of a retiring and am researching destinations. As Belize is an English speaking country and it rated in your top 10 I was pleased. However when I researched the crime rate in Belize I was shocked to discover how bad crime is in Belize. Is There Good WiFi in Belize? I am Laura Diffendal, the Belize Correspondent with International Living, and I want to do a quick video today about Wi-Fi and cellphone use and connectivity in Belize. So, number one, is there a good Wi-Fi in Belize? Read More : Is There Good WiFi in Belize? What Language is Spoken in Belize? Read More : What Language is Spoken in Belize?